Have we reached ‘peak’ maize? Long time readers of this blog will know that I have written a lot in the past about maize and its potential and real environmental impacts e.g. 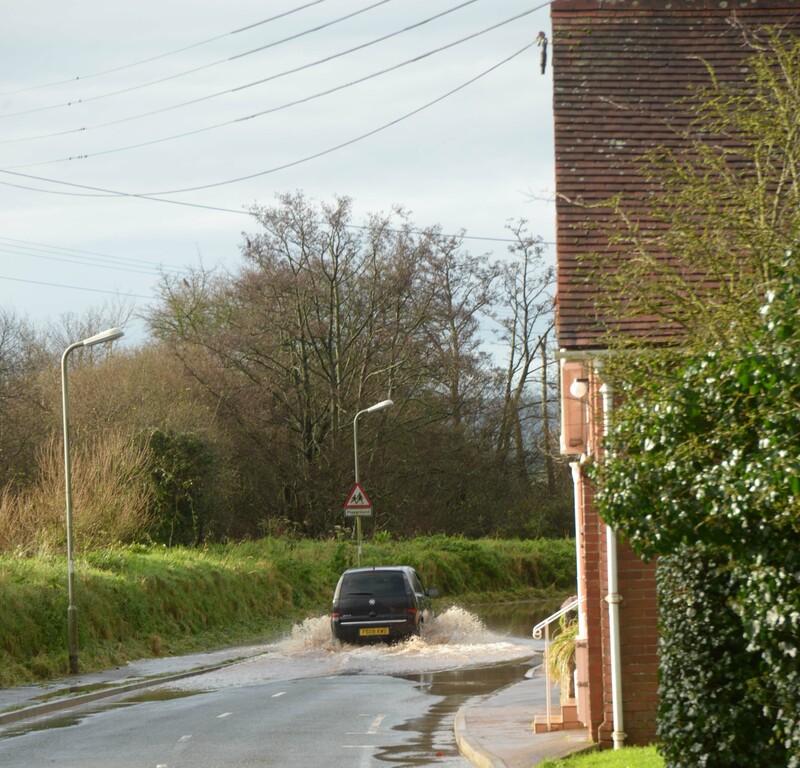 exaserbates flooding and soil erosion – see here for previous blogs. The past few years have seen a dramatic increase in the area of countryside devoted to maize. In 1985, 25,000 hectares grew maize, today it is over 180,000 hectares. The majority of maize is grow as cattle fodder and as a result the south west of England has extensive areas devoted to it. Additionally around 10 years ago maize was also specifically grown so that it could used in anaerobic digestion (AD) plants to produce electricity. The growing of this maize is subsidised and it is therefore an attractive crop for farmers. Between 2015 and 2016 the area of maize grown for AD plants increased by 55%. Last year the government reduced the subsidy for AD maize by 50%. Defra have just published their annual cropping figures. As can be seen the overall area of maize is the same in 2017 when compared to 2016. The area of maize grown for fodder has decreased by by 3.1% and the area of for AD has increased by 9.8%. The reduction in maize for fodder is occurring as cattle are being returned to pastures to feed on grass and perhaps because there is a concern that cattle areas where there is a high incidence of maize cultivation have higher outbreaks of bovine TB than areas with little maize (see here). Whilst the area of AD maize has increased the rate of increase has declined dramatically (9.8% cf 55%). I welcome this and I suspect that this is a direct result of the subsidy decrease. Nevertheless there are still over 180k hectares of maize in England. It is a plant which is harvested late in the year (October) and requires a lot of heavy machinery to achieve this which compacts the soil. Due to the lateness of the season and the wet soil conditions maize fields are usually left bare for the winter. 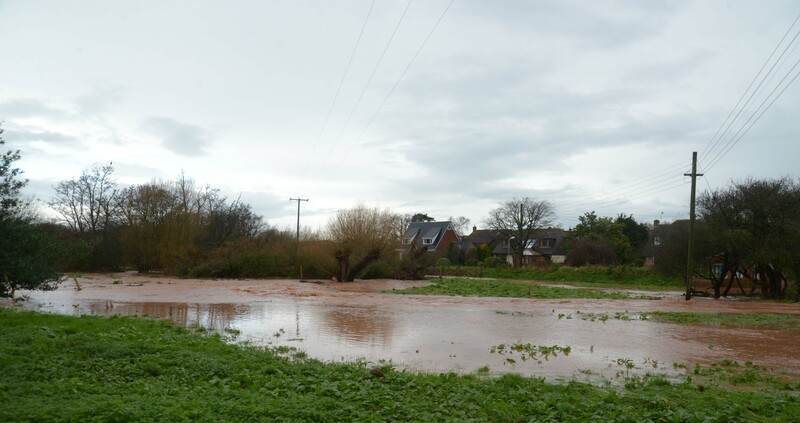 Bare and compacted soils can lead to high incidences of runoff during storms which can flood nearby villages and result in high levels of soil erosion. Attempts are being made by maize growers to grow varieties which can be cultivated earlier in the year so a cover crop can then be sown but maize grown in the wrong place e.g. on slopes next to watercourses (a common field arrangement in Devon!) is still a big problem. The Defra figures may indicate that we have reached ‘peak’ maize thanks to more cattle eating grass and a cut in the subsidy regime. Let’s hope so. Already looking forward to next years’ figures! This entry was posted in Badgers, Maize, Uncategorized and tagged Maize, Maize 2017 data. Bookmark the permalink. 5 trees in strips at the bottom of banks against ordinary grasses to test the run off. Aberniche has given extra run off delay of 30 days! I rather hope the reduction in maize area does not signify a move to outwinter cattle on grass. There would be little joy to be had from swapping mud from maize for mud from poaching. Maybe it signifies a move towards a higher proportion of conserved grass as winter feed. A method was developed around 1999 for reducing soil erosion from maize, by undersowing it with a Westerwolds ryegrass (an annual/short-lived perennial) variety that was moderately resistant to maize herbicides, allowing it to persist until the maize was harvested. Then it grew over winter in the maize stubble, bound the soil surface and slowed the flow of surface water movement. It seemed like a workable solution to the problem, but it didn’t catch on. I suppose it was the added hassle and expense of the seed and the second drilling. Maybe the EU banned the herbicide, too. Thanks John – I understood that some cattle that were kept in barns and fed maize were being put onto grass in spring and summer not overwintered on grass. 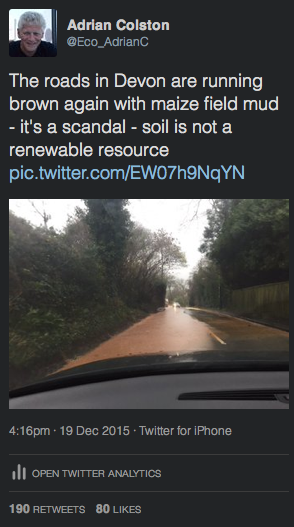 The technology / knowledge of cover crops exists but in Devon seems to be rarely used!